Reverend Jesse E. Thomas believes in empowering the Church of today for a better tomorrow, and equipping them with the knowledge of Christ. He serves as the Senior Pastor of the Shiloh Baptist Church of Boston, VA, the ministry that is Encouraging, Empowering, and Edifying Disciples: One Church in two locations. Pastor Jesse Thomas is the founder and servant leader of The Impact United Fellowship and the author of “No More Distractions”. Rev. Thomas has a yearning for knowledge which has enabled him to earn a Diploma of Ministry, an Associate of Ministry, and a Bachelor of Christian Ministry from the Chesapeake Bible College & Seminary. In addition, Rev. Thomas is an Alumnus of the Chesapeake Bible College & Seminary Alumni Association. He has received his Master of Divinity degree and currently matriculating in the Doctor of Ministry program at Virginia University of Lynchburg. The gifts, talents, and heart for the community are what make Jesse E. Thomas a treasure to the Body of Christ. 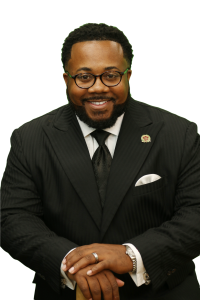 He is a dedicated Member of NAACP and a Member of the United National Free Mason, in which he is the Chaplain for the state of Maryland.